Second seed Roger Federer stayed on course in his bid to lift the Internazionali BNL d’Italia trophy for the first time, defeating Kevin Anderson 6-3, 7-5 on Thursday to reach the quarter-finals in Rome. 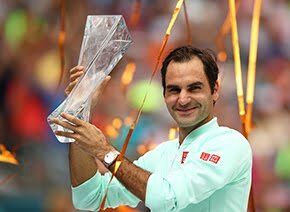 Federer stumbled towards the finish line, but recovered his poise in time to close out victory in 76 minutes. The Swiss squandered a 5-2 double-break lead in the second set as Anderson staged a fightback, but Federer broke again in the 12th game before serving out at the third time of asking. "I had to adjust and react differently in today's match than yesterday's match," said Federer. "It was so different, because it's Kevin and his amazing serve. There's only so much you can do on the return games. The first thing was not to get frustrated, because I was not seeing where he was serving. "But thankfully, I got off to a really good start in both sets. From then on, I could relax almost. I was able to break him four times, which was a really good effort in the quick conditions here in Rome." 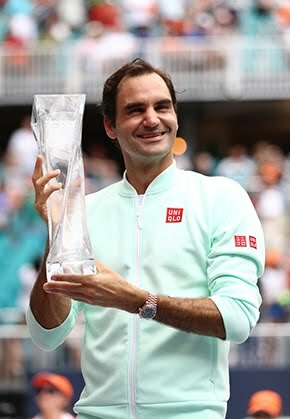 The Swiss is making his 15th appearance at the Foro Italico and has reached the final three times, finishing runner-up in 2003 (l. to Mantilla), 2006 (l. to Nadal) and 2013 (l. to Nadal). 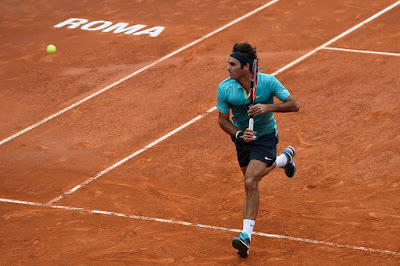 For a place in the semi-finals, Federer will face Tomas Berdych, who defied a raucous atmosphere on Pietrangeli to edge home hope Fabio Fognini 6-3, 3-6, 7-6(2) in two hours and 35 minutes. Federer takes a 13-6 Head to Head advantage over Berdych into the pair’s 20th meeting, but they have split their past four contests, all on hard court. The 29-year-old Berdych will contest his ninth straight quarter-final in nine events in 2015 and is looking to reach the semi-finals in Rome for the second time (l. to Nadal 2013).